Intellectual property (IP) rights are a strategic component to a business's success, as these rights can be used to prevent competitors from illegally using the business' IP assets. However, uncertainties and conflict can arise when it comes to IP used in the course of business. With the progression in the importance of IP, the number of intellectual property disputes have also risen. When faced with such situations, parties can either follow traditional routes such as litigating the matter in the courtroom or the specialized tribunals, such as the Trademarks Opposition Board; or they can use the opportunity to design their own outcome through the often-overlooked alternative dispute resolution (ADR) processes. ADR commonly refers to other forms of solving disputes between parties, such as arbitration, mediation and negotiation. ADR methods are generally consensual in nature and enable the parties to tailor the outcome and the dispute resolution process to the parties' needs. 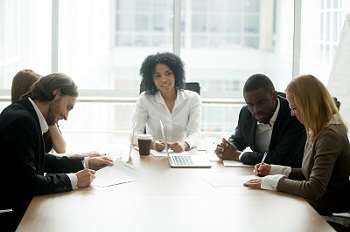 Additional advantages of pursuing ADR methods include speedier resolution, cost effectiveness, confidentiality, flexibility of the dispute process, and the possibility to maintain pre-existing business relationships. 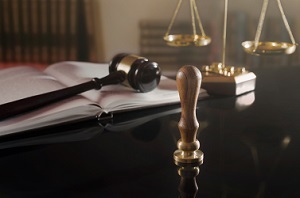 In situations where a dispute spans multiple jurisdictions, ADR methods may also make it possible to resolve the matter for all jurisdictions with a single process. Such advantages prompt many organizations to make ADR their preferred approach over traditional litigation. However, since ADR methods require consent from both parties, businesses often enter into agreements during contractual negotiations that mandate resolution through ADR methods. Such contractual agreements give the parties the comfort of certainty of the forum for dispute resolution, which allows parties greater control over their legal expenses and potential business disruptions. Even if the parties are involved in a legal dispute, they have the option to pursue ADR methods in a parallel process, upon consent by all parties, to resolve their differences even though litigation may still be pending. Traditional means of resolving civil disputes, such as judicial or administrative proceedings are adversarial in nature, since a judge decides the outcome. The litigation can be a long and drawn-out process requiring both parties to spend significant resources of time and money to determine who was right or who was wrong. For intellectual property disputes, lengthy legal proceedings can be particularly disruptive to business operations because IP rights can be time sensitive. If the subject matter is a rapidly evolving technology, such as computer software or microelectronics, the judicial proceeding may last longer than the actual lifecycle of the product. Negotiation is often the first approach taken to resolving an IP dispute. The parties hold discussions in the hope of reaching a mutually satisfactory agreement. Negotiation allows parties to participate directly in decisions that affect them. By being directly involved parties, are effectively able to address their own needs and the needs of the opposing party. A negotiated agreement can become a contract and be enforceable by the courts. Mediation is generally a voluntary process where an impartial third party, called a mediator, assists the parties in their efforts to reach a voluntary resolution. The mediator's role is to re-establish or facilitate communication between the parties, highlight the parties' needs and interests, and help overcome impasses. Unlike a judge, the mediator does not decide who is right or wrong, but instead provides his insights and helps them to arrive at possible solutions through their input and collaboration. Since the mediator is not appointed by the court, the parties can consent to selecting a mediator who is knowledgeable in the subject matter. In some IP disputes a traditional judge without a technical background may have trouble understanding complicated subject matter, such as the nuances of sophisticated computer programs or the inner workings of human biology. Parties to such a dispute may prefer to use a mediator with a specific background to settle the dispute as the mediator's experience may assist in helping the parties arrive at a satisfactory resolution to their dispute. This may also avoid the necessity of spending significant amount of resources on using subject matter experts as witnesses to provide evidence related to the relevant technology. Mediation also offers the possibility of outcomes that incorporate innovative remedies, such as cross-licenses, or royalty rates, which may not be available in public courts. Either party may initiate mediation by communicating an interest in using the process, even if litigation has commenced. When engaging in contractual relationships, consider inserting contractual clauses that address mandatory mediation. The decision is made jointly by the parties rather than imposed by a third party. Mediation is quicker and more flexible. It helps maintain business relationships and minimize business disruptions. The parties reserve the right of proceeding with litigation if an agreement is not reached. Arbitration is similar to traditional litigation where an impartial "judge", called an arbitrator, hears both parties and their witnesses in the manner of a trial and renders a binding decision based on the evidence and law. Despite the similarities to traditional litigation, private arbitrations can be relatively quicker and cheaper at resolving disputes because unlike public courts, the process is decided by both parties to generally work with their interests. The resolution process timelines and other details (i.e., which laws to use, how much evidence should be produced) can be adjusted to suit the needs and schedule of both parties. Parties may elect to go directly to arbitration or attempt to resolve the situation through mediation first. Intellectual property disputes often involve proprietary information (i.e., trade secrets or patented inventions) and the confidentiality of this information is easier to maintain in private arbitration rather than in public courts. Private arbitration must be mutually agreed upon by all parties, whereas in traditional litigation one party can force the other party to litigate the matter in courtrooms by electing to file an application in the public courts. 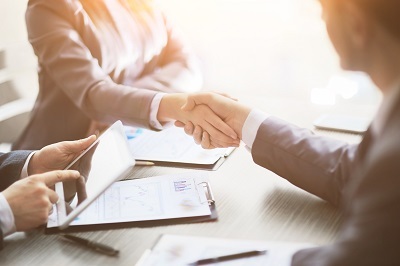 In order to overcome this dilemma, many businesses often enter into arbitration agreements during contractual negotiations that require the parties to engage in private arbitration rather than a public proceeding. During arbitration, the presence of legal counsel is optional, although most sophisticated intellectual property arbitrations still use legal representatives. Barring exceptions, arbitration costs are shared equally between the parties. The Arbitration clause can also stipulate specifics such as the rules of the arbitration, the language and the venue where it will be held. Arbitrators do not have to comply with strict legal rules, which can possibly lead to inconsistent results. There are also other types of ADR or hybrid approaches that combine different methods, including mediation-arbitration (commonly called "med-arb"), where the parties allow the mediator to act as an arbitrator in the event of an impasse. There are other methods of dispute resolution and the use of a specific method will depend on the nature of a particular dispute. If you want to know more about the advantages of using ADR to resolve your dispute, below is a list of organizations that specialize in ADR and offer related resources.